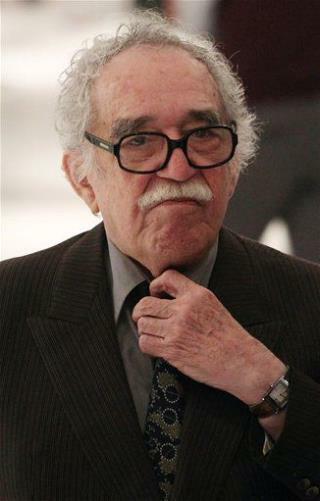 (Newser) – The younger brother of Gabriel Garcia Marquez says the Nobel laureate is suffering from dementia at age 85, reports the BBC. The author of One Hundred Years of Solitude and Love in the Time of Cholera phones frequently to ask for help with basic daily tasks, says Jaime Garcia Marquez. "Sometimes I cry because I feel like I'm losing him." Next on Newser: Chronic Pain: An Emotional Reaction? Gabriel Garcia Marquez has Dementia. BFD. So does Mitt Romney and Newser doesn't run a lead about that! How can anyone be sure he's not really suffering from magic realism? Shhh...he's a socialist with dementia, no making fun of him.